The Hyatt Place Peachtree Corners is located in the Norcross Technology Park, with easy access to all areas of metro Atlanta. The hotel caters to both business and leisure travelers. Our 170 room with one king or two double beds; separate living room with sleeper sofa, and a refrigerator, coffee maker, wet bar, hair dryer, full-sized iron and ironing board. All rooms are equipped with high speed internet access for wireless and wired capabilities. Other amenities include outdoor Seasonal pool open Memorial Day through September 30th each year, on-site guest laundry, and well equipped exercise room. Complimentary transportation, up to 5 miles, Monday thru Friday. World of Hyatt members can enjoy our complimentary breakfast when they book an eligible rate. Monday-Friday 6:30am-9:00am and Saturday-Sunday and Holidays 7:00am-10:00am. Our breakfast includes premium ingredients, cage-free eggs, and regional chef-inspired dishes. PET POLICY: 1-6 NIGHTS A 75 NON-REFUNDABLE FEE. 7-30 NIGHTS A 75 NON-REFUNDABLE FEE PLUS AN ADDITIONAL 100 CLEANING FEE. MAXIMUM OF 2 DOGS PER ROOM ARE PERMITTED. WEIGHT MUST BE 50 LBS OR LESS MAX OF 75LBS PER RM. FEES ARE IN USD. 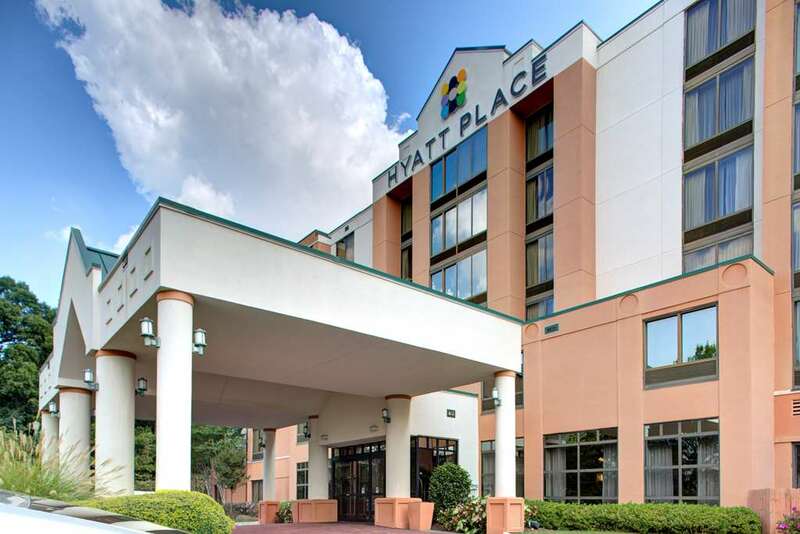 Hyatt Place Peachtree Corners in Norcross Tech Park, w/easy access to metro Atlanta, hotel features 170 rooms w/1 king or 2 double beds, separate living room w/sleeper sofa; kitchenette w, refrig, coffee maker, wet bar, china w/table ware. Outdoor Seasonal pool, well equipped exercise room. Complimentary transportation upto 5 miles Monday-Friday, and Wired/wireless HS internet access. Now earn Hyatt Gold Passport points!